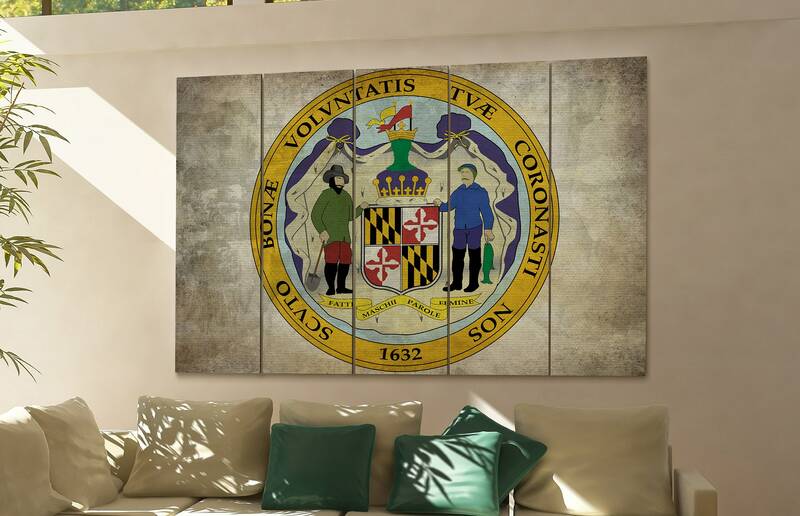 Maryland seal flag skyline wall art décor takes three up to max five days to produce. 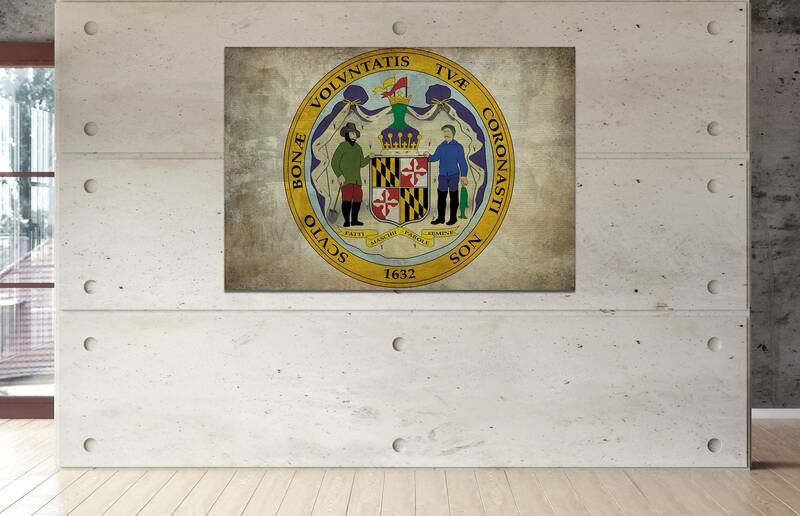 If you have any questions regarding this Maryland seal flag art prints, feel free to contact at any time. ✔ five star trusted seller. ✔ All sizes in stock. ✔ You will receive a finished product. Canvas wrapped and stretched on a wooden frame. ✔ High definition photos and illustrations used. For a perfect result on all sizes. ✔ Highest quality stretcher bar available on the market. Vingerjointed and laminated. ✔ All used stretcher bars are FCS certificated. We care about our forests. You should too. 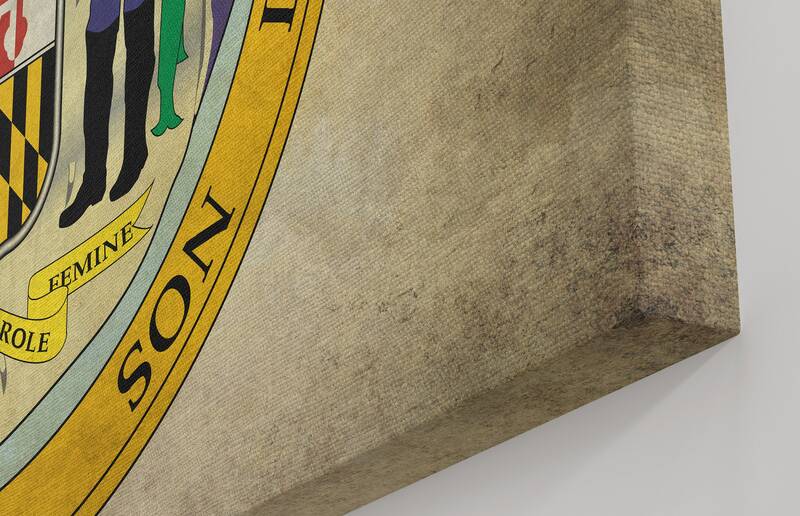 ✔ Thick textured 100% cotton canvas, highest grade museum quality. ✔ Vibrant genuine pigment inks, color proof over 100 years. - USA customers can easily return to our local use warehouse. ✔ Rush order option available. Dispatching on working days usually within one or max two working days. - Genuine pigment ink. Produced to last for over 100 years. Does not fade. - Polished 2cm thick pinewood laminated and finger jointed stretcher bars. The sizes from the drop-down-menu are total sizes. This means the number of panels combined. These sizes do not include the space between the panels. We recommend to hang the canvasses with 1/2 inch of space between them for optimal result. The texts available on this webpage were written by CanvasConquest. CanvasConquest is the sole possessor of the ownership rights and is thus the only one entitled to make use of them. Copying these texts for any purpose without the accord of the owner is prohibited. 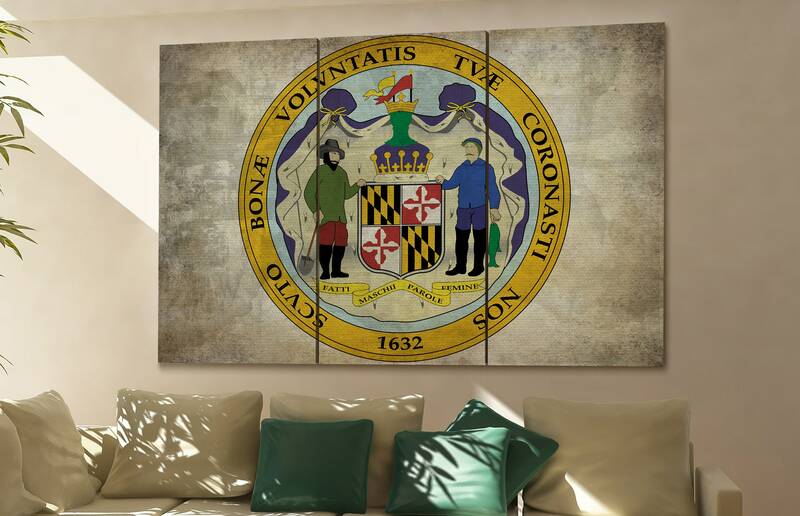 If you have any more questions regarding item Maryland seal flag large canvas rustic wall art art prints, feel free to contact CanvasConquest.